Interested in what archaeology can tell us about the historicity of the Exodus? Download Ancient Israel in Egypt and the Exodus and start receiving Bible History Daily — both absolutely free! In this free eBook, learn about the Israelites in Egypt and the archaeological context of the Exodus. The Exodus is one of the most dramatic events in the Hebrew Bible—the slavery of the Israelites in Egypt and their miraculous escape across the Red Sea. It is traditionally viewed as the single event that gave birth to the nation of Israel. Is there archaeological evidence for the Exodus, and for Israelites in Egypt? The Biblical narrative of the Exodus is a fascinating account that can be supplemented by additional historical sources. 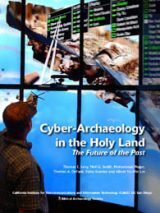 This free eBook, taken from articles in Biblical Archaeology Review magazine, considers texts and archaeological evidence from the second millennium B.C.E. that describe Israel in Egypt and the Exodus. In “Out of Egypt,” James K. Hoffmeier questions how likely is it that the Israelites were enslaved in Egypt. And if they were there, which way did they go when they left? Hoffmeier uses recent archaeological excavation data from Egypt to shed new light on the slavery of the Israelites in Egypt, the locations mentioned in Exodus and the route the Israelites took out of Egypt to the Promised Land. Abraham Malamat’s article “Let my People Go and Go and Go and Go” questions the historicity of the Exodus. Malamat suggests that once we give up the search for a single, dramatic Exodus, the evidence for a more subtle image of ancient Israel in Egypt and the Exodus—one dispersed over time—will emerge. 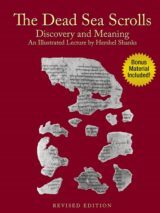 Finally, in “When Did Ancient Israel Begin?” Hershel Shanks takes a new look at the late-13th-century B.C.E. Merneptah Stele, which has long been considered the earliest reference to Israel outside of the Bible. But now three German scholars say they may have found another hieroglyphic inscription almost 200 years older naming “Israel.” This new archaeological evidence of the Israelites in Egypt suggests that the Bible may be more accurate than some thought. This free eBook shares new archaeological evidence for the Israelites in Egypt, and reshapes understandings of the historicity of the Exodus. We’ll send you a link to download your copy of Ancient Israel in Egypt and the Exodus and offer you a FREE registration to the Bible History Daily newsletter, bringing the world of the Bible and archaeology directly to your inbox. Your FREE registration to Bible History Daily introduces you to community discussions on fascinating topics like the Dead Sea Scrolls, top Biblical archaeology discoveries, ancient Israel and Easter. We have several dates for the Exodus. The Jewish Historian Flavius Josephus (70 AD) thaought the expulsion of the Hyksos by Pharaoh Ahmose I circa 1546 BC was the Israelite Exodus. 1446 BC is another Exodus date favored by some conservative scholars based on 1 Kings 6:1 statement that the Exodus occurred 480 years before Solomon built the Temple. Then some Liberal scholars favor an Exodus after 1260 BC in the reign of Pharaoh Ramesses II. Why? Because the Exodus begins at the city of Ramesses, and Egyptologists understand Egyptian Per-Rameses came into existence about the time of Ramesses I and II. Two Egyptologists, Hoffmeier and Kitchen, have noted that the 480 years of 1 KIngs 6:1, is contradicted by the Bible’s internal timeline which comes to a time lapse of about 600 years instead of 480 years. 1446 BC plus 600 gives us 1546 BC and the Hyksos Expulsion from Egypt. Yet Hoffmeier and Kitchen ignore this and prefer an Exodus in the days of Ramesses II (circa 1260 BC). Can the Bibl help us? YES. We are told that after Moses’ death Joshua attacks Jericho and orders its fallen walls to be set afire. In the 1950’s Dame Kathleen Kenyon excavated Jericho. She noted its LAST WALLS had fallen due to an earth quake and had been set on fire. She dated the event to the Hyksos Expulsion from Egypt circa 1546 BC! BINGO! The Exodus is 1546 BC and the HYksos Expulsion is being remembered by the Bible. THE PROBLEM? 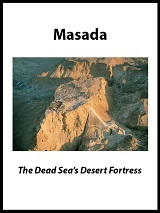 Sites in Jordan (biblical Moab and Ammon and Edom) have been excavated and some did not come into existence until after 1200 BC, or Iron Age I (1200-1100 BC). 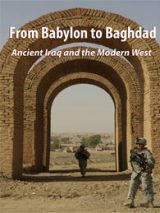 Conclusion: The Bible is recalling real events, grounded in archaeological findings, and the evidence suggests that the Iron Age I settlement of Jordan and Canaan, 1200-1100 BC has been combined with the Hyksos Expulsion and destruction of Jericho in 1546 BC. The Bible says Israel married the Canaanite’s sons and daughters and came to worship their gods. Assuming the BIble to have been written in Iron Age II, evidently these peoples saw the Hyksos as their ancestors via marriages with Iron I Canaanites (Hyksos descendants). Adão e Eva e o Jardim do Éden e Pecado Original, Moisés e o Êxodo (histórias de exilios e conquistas foram plagiadas), Dez Mandamentos, Abraão, Josué ou de qualquer dos juízes, Davi, Salomão e seu reino, NOÉ e o Dilúvio, NUNCA EXISTIRAM historicamente. A BÍBLIA, conta relatos que não são históricos, são boatos, fábulas, MITOLOGIAS. Não existem textos autênticos e originais estão perdidos. Parem de que enganar e mentir para o mundo relatando como relatos ficcionais como se verdades fossem. JESUS de Nazaré (deus ou filho de deus), José, Maria e os Apóstolos… as histórias da Criação e a Natividade, Crucificação, NÃO SÃO FATOS, são inverídicos e não são coerentes entre si (mortos não ressuscitam). NUNCA existiram. Os Evangelhos são um labirinto escrito por autores anônimos e editores e revisores conflitantes. Do Éden ao Apocalipse, A Bíblia é um registro dos erros e das maldades dos homens. As Escrituras “não são a palavra de Deus”nem inspiradas. history and theology with cut and paste archaelogical references. Also, the bottom line with Biblical history is that God is not only providential, but actively involved in human affairs. The Bible is a revelation of what God has done and will accomplish from creation until the end of the age. Do we think it possible that the God who created a trillion stars in a million gallaxies might actually be capable of parting the Red Sea to rescue His people? If we disgard the first verses of Genesis as a myth, all bets are off. If one is an agnositic or an atheist, the miracles of the Bible that changed human history are nonsense. To paraphrase King David in the Psalms, “In their heart, they say there is no God.” In other words, our final, final on the subject of God’s intervention in Biblical history is an issue of the heart, not of the intellect. Interpreting Biblical history and theology is a grand and rewarding challenge for scholars and archaelogists. Digging dirt in those ancient lands to refute the authenticity of the Bible is a fool’s pursuit. How would finding the universal flood story in other countries and languages discount the story? Would it not add to it’s veracity? If the flood in Noah’s day was indeed universal it stands to reason that there wouldn’t be only one people group that knows and retells the same story. Actually, cultures all over the world, far removed from the Middle East and isolated from all external influence, retell ancient flood stories similar to that in the Bible. Would these ethno-historical accounts of remote peoples, that may have been orally passed down from ancient times, disprove the Bible? Would we say they’ve also plagiarized the ancient Babylonian story? Does the Bible claim to be the only account of a universal flood? No, it only claims that the flood was universal and, as such, would have, at least initially, been universally known. We outsmart ourselves when we try to disprove biblical records simply because we don’t want to believe it. Shouldn’t we rather see that, since so many of the biblical accounts are accurate and verified, maybe the whole of it is true? Well said, exactly what I would believe. As Noah’s family grew and repopulated the earth, the flood would of been passed down to the generations. Thanks Jon. Even the Chinese have a character that represents the flood. You obviously know nothing about Hebrew heritage or you would not make your comments. OBVIOUSLY, Tina, you must know everything. I just happened to see this Finkelstein on a TV show earlier this evening, entitled ‘Temple Mount,’ he doubts the efficacy of the Bibles account of Solomon’s temple, to me, after watching some of it, that he was ‘hell bent’ on trying to prove that that the Bible account of Solomon’s temple was a myth…..typical of some archaeologists ……after reading your statement, Noel, I can see how my thoughts did not go deep enough………he probably wants to discredit the entire Bible……….well I am sorry, he is in for a rather rude awakening. There are something like 1500 years between the building of the Pyramids and the Hebrew presence in Egypt. Explain that. Who would reasonably expect archaeological evidence of the various travels of nomads thousands of years ago through the sands of Sinai? I find the proofs on the realities of today. We know Israel was Canaanite, with the god EL forming part of its name. We know the god who became the God of Israel came form the South. Archaeology supports that. Those two groups, who saw themselves as kin, ie, the various “exodus” migrations bringing their god to Canaan and the existent tribes of Israel, became one, just as their gods became one. Who knows, maybe the “Shema” prayer attests to that merging of gods. North and South were historically at odds with each other. Provenances are clear. So it is in language, like the many ה ‘s added to names previously not containing them, such as Abram and Abraham, the h ( ה) being of southern provenance. So what’s the fuss, the denials, the politics, the insistence on ” accuracy” from the Bible – a book written by Hebrews for Hebrews as anything but perfect science in mind- , the dating feuds. Is there any doubt really that these migrations from Egypt, called the one Exodus compounding many stories, happened? Do the deniers have better explanations for the simplest of facts proving the composition of what was to become Israel post-Canaan? You should go to the ‘British Museum’ in London, it is truly amazing………with the right guide you can walk through Bible history…..you look at a particular artefact, go to the appropriate Bible chapter and verses, read about it…..and there it is in front of your eyes……..you can do this through the various sections of the museum, representing Biblical Empires, e.g. Egypt, Assyria, Babylon, Medo-Persia, Greece and Rome. Thankyou Chris & Carl for your faith. And I completely agree. I too believe. I have always worried about Noah’s arch… good grief. There is good evidence for Israel in Egypt and for Israel leaving Egypt. Comparing archaeological information and Scripture it seems that Senusret III [also known as Sesostris III} was Pharaoh when Joseph, son of Jacob was taken to Egypt. The key is that there is more evidence for the resurrection of Jesus Christ than for any other personal event in ancient history. Noah’s Arch? Really? Paul there’s more to worry about…like knowing the basics and spelling. I wholeheartedly agree with all of Chris’s comments of Feb 2015. Chris, your comments are profound but come from the humble heart TRUE believer. You should start your own blog / Q & A to aid bible students come to the truth. You would lead many to Jesus Christ; Who is God in human form. Thanks for the comment Chris (2/14/15:20:43). My feelings and thoughts exactly. ‘Faith comes by hearing, and hearing by the Word of God’ AMEN, and AMEN. And remember also: “Trust in the Lord with all your heart and lean not unto your own understanding and He will direct your paths” … Again, AMEN and AMEN. Ronald says “I think….” But he simply doesn’t think. Did all the “comments” dry up because the people who offered their stupid opinions have now actually read the Hebrew Bible AND Dr. I Velikovsky’s “Ages in Chaos” which clearly explains the proof of the Exodus and the 10 Plagues. Without this book, they are simply writing opinions based on nothing at all. I look forward to reading from someone who has actually read the facts, the scientific and other proof of the accuracy of the Hebrew Bible and the dating related to Egypt. (See above). Chris says the best! Amen brother! I don’t think that there were any slaves. Ancient Egypt was a metaphysics capital of the world. Moses stole the Ark of the covenant in my opinion. The only way to recharge the Ark was in the Giza pyramid. .. why steal something that you can not use? God’s energy is shown in the form of the winged disc or solar disc that is actually Antihydrogen fusion wrapped in antihelium antioxygen that created the universe. This is also seen in the book of coming to light. .. Dark matter producing dark energy creates gravity and mass while living in the quantum field or aether shown in their art. My theory is backed up by NASA’S Fermi satellite And Italian space agency satellite PAMELA detected antihelium a signature of Dark matter during Sprite production. It looks like the sun but is double ringed flying disc made by lightning hitting hydrogen in a weightless environment of space. It created the universe. For Don and others taken in by the “Yam Suf means Sea of Reeds and therefore just means such-and-such lake” argument: this argument doesn’t take into account that during the time of King Solomon, the Bible calls the sea at Elat “Yam Suf” as well, and in that case, there is no question it is speaking of what we call the Red Sea. What evidence is there that bricks were made in ancient Egypt? The making of sun-dried bricks was an important occupation in the Nile Valley in Bible times. Ancient monuments built from this material still stand in Egypt. A wall painting in the 15th-century B.C.E. tomb of Rekhmire in Thebes, almost contemporary with the events recounted in the book of Exodus, illustrates the process. Different papyrus documents from the second millennium B.C.E. also refer to the making of bricks by serfs, to the use of straw and brick-clay, and to the daily production quota of bricks that workers had to meet. Correction Moses was not a Judite. He was from the tribe of Levi. After you have read Velikovsky you can THEN discuss the subject of Jewish history. The first new Pharaoh of Egypt after the overthrow of the Amu/Amalekites/Hyksos was the native short-lived 17th dynasty followed by the 18th. “The Great Queen of Egypt and the South” otherwise known as Hatshepsut was the queen “Sheba” who visited King Solomon of Israel and bore him a son. On her return to Africa she made him viceroy of Ethiopia and gave him and his heirs a title carried down the dynasty as “The Lion of Judah” until Emperor Haile Selassie was assassinated in our life-time. Instead of writing “Comments” about which several of you obviously know nothing, try reading Dr. Immanuel Velikovsky’s book “AGES IN CHAOS”. It opened my eyes and opened History. The Pharaoh at the time of the Exodus was Pharaoh Thom, the last of the 12th Egyptian Dynasty (apart from a son who died immediately after Thom drowned.) From then on there were the Hyksos/Amu/Amalekite dynasties 13,14,15 and 16th Dynasties. That lasted until King Saul defeated them completely at the battle of Avaris, their capital. Read about it in the Hebrew Book of Samuel. had been drowned at the Reed Sea so the Land of Egypt was wide open and, as we are told in the Bible, there was no resistance. Will those commentators expressing their own wishful views rather than facts, please read Dr Immanuel Velikovsky’s “Ages in Chaos” which explains HOW it all happened. No need for ignorant hypotheses anymore. Or even so-called learned ones! As written in Judges 11:26 The Israelites were 300 years in the Trans Jordan. The Israelites were part of the Hyksos at Avaris, see Bietak Expedition Reports, from the time of Joseph vizier of the Hyksos, Genesis 41:33-39. The 5 conspirators who had conspired to kill then sold Joseph into slavery, Genesis 37::18-28 were given land at Goshen near the future city Pi-Ramesses Genesis 47:2-6. This was about 1620 BC. The conspirators were the pastoral Judahites. Reuben, Simeon, Judah, Levi and Gad..
a Josephite. The Judahites remained on their land at Goshen until the advent of Moses the Judahite who returned from Midian after the death of Ramesses Ii in 1213 BC Exodus 2:23. The Judahites were conscripted to provide labour for the building of Pi-Ramesses, the city of Ramesses Exodus 1:11. The Exodus of the Judahites was burdened with herds of Cattle and flocks of sheep Exodus 12:32, it was a leisurely affair. Moses had just returned from Midian and would have taken the Judahites by the shortest route back to Midian Exodus 2:15. There is no Egyptian record of any pursuit or disaster at the time of this Exodus. The Judahites entered Canaan from the south as described in Judges 1:3 forty years after leaving Egypt probably led by Caleb the Judahite, after 1170 BC. At least 60 years after the eastern entry of the Israelites into Canaan led by Joshua the Josephite. The First Exodus was one of haste pursued by King Ahmose. The Second Exodus was a leisurely affair. King Merneptah was not at Pi-Ramesses at the time of the departure of the Judahites he had moved to a palace at Memphis, see Univ. of Penn. Museum exhibit. In my life as I have walked holding hands with Elohim _ I have learned that He purposely keeps to Himself proofs of His accounts. In doing so He challenges us to believe in this case, regardless the apparent lack of archaeological evidence. The knowledge belongs to Him and He reveals His knowledge as needed for us to exercise our faith in Him in a manner that help us to grow as believers. Deuteronomy 29:29 states “The secret things belong to the Lord our God, but those things which are revealed belong to us (…)”. Dr Rohl learned about the errors in dating Egyptian history from Prof. Immanuel Velikovsky’s book “Ages in Chaos”. When the dates are corrected all the Bible falls into place. There is no “myth”. To understand, get hold of the book FIRST. I have been excited about the work of Egyptologist Dr. David Rohl and look forward to his new book “Exodus – Myth or History”. Dr. Rohl found the timeline for Egyptian history was out of sync with the actual archeological facts. If you place the new timeline over the known dates for the conquest of Canaan then even the fall of Jericho now falls into place. ALL the info. on the Exodus is in the Bible. There were 2 Exoduses, one at the time of the Hyksos expulsion from Avaris in Egypt about 1535 BC of the Josephite tribes the second of the Judahite tribes after the death of Ramesses II in 1213 BC. The First Exodus lead to the Israelites being in the Trans Jordan for 300 years, Judges 11:36 until lead out by Joshua the Ephraimite (a Josephite) into Canaan. This Exodus was one of haste pursued by King Ahmose and there is a record of this ! The Second Exodus of the Judahite tribes after the death Of Ramesses II (Exodus 2:23) when Moses the Judahite lead the Judahite tribes out from Goshen near the City of Ramesses to Midian. in Arabia. This was a slow Exodus because the pastoral Judahites were burdened with their flocks of sheep and herds of cattle (Genesis 47:32). Moses would have taken the direct route to Midian via the ancient Trade route having only recently returned from Midian (Exodus 4:19-20). The reason for the separaration of Josephites based at Avaris and Judahites at Goshen in Egypt stemmed from the five conspirators (Genesis 47:2) the half brothers of Joseph who had conspired to kill Joseph and then sold him into slavery at Avaris where he became vizier and was able to settle the brother and half brothers who had not conspired against him. The story is all there in the Bible, today partly obscured but still present- two Exoduses not one. Really, this is it for the comments?! Ok, so everyone needs to see http://www.patternsofevidence.com/en and see the proof. Yes Finkelstein is in it! There is not only archeological proof, but also textural proof in the hand of an Egyptian. Much of the proof is coming from UNDER the land called Rameses, a whole layer of another culture, clearly not Egyptian. One of the most outstanding points to me was that Moses wrote Genesis around 1500, a few hundred years BEFORE the Pharaoh Rameses, so likely someone updated the city name later to something more modern, that could be traced, at that time. Again, it is now UNDER that updated location that they are finding masses of evidence! So people have been looking for proof in Egyptian records in the wrong time period, kind of like searching for records of some Americans having African slaves during this 21st century; not finding those records in this century doesn’t mean it didn’t happen, it means one was looking, in the right place, but at the wrong time! And as for Noah’s ARK, it was found in the 1950’s, verified through much scientific evidence including a core sample from near the base producing petrified animal dung, hair, and antler. It is exactly the right size according to the Egyptian cubit, can be seen on Google Earth, and has had a visitor center set up for over 20 years now in Turkey. I personally think that The Exodus was rather like Noah’s Arch in a way. It is clear from serious scientific work that this “exodus” never happened. And for a good reason. Hebrew bedouins were taken to PERSIA as slaves. That is a historical fact, that is also confirmed in the famous “name” Messiah,which is actually PERSIAN “me shah” and it means “our king”. But, hey. Science also tells us that believing in supernatural “friends” is clinical schizophrenia. It seems that much money and ado is spent in the pursuit of opinion. Such opinion has to differ from existing opinion so that a name can be made for ones self. Thus an opinion turns to a hypothesis and a hypothesis to fact in the writer and readers mind. There is only one simple fact, the desires for money, and that desire drives the most rediculous speculations to paper. To often your authors state what the Bible says, but it is obvious they have not read it for what they state is wrong. To often speculations of a adle minded ditch digger are treated as archilogical fact. May the readers of this e-book beware, it is about as accurate a story as Russel Crowes Noah! Yam Suf the sea of reeds. is Lake Manzillah in the Delta that until they built the Aswan dam flowed into the Mediterranean. If you look at maps of the Delta prior to 1970 AD, you will see a gap in this long shore drift., In normal times the lake just trickles over sand bar into the Med, but during the inundation it blasts it’s way through creating this gap . and each year that gap moves up and down that long shore drift as can be seen by Napoleon’s maps. However when the Med Tide is out the, but not during the inundation time, waters from the lake will perculate through the sand bar leaving a 6-8ft dry area that can be walked over dry shod bu only for about 3 hours over aprrox a 4km stretch. When the Med Tide rises, the waters in the lake back up and the sand bar is covered by about 100mm of water. However if you’re running through this to the other side and you must be able to see the other side, then if yo fall you can get up . But a chariot doesn’t know this and the last thing the Egyptians wanted was to go into a small hole and the foot soldiers of Israel will come back and kill them ,so it doesn’t look like they followed them. This was the rooute the Egyptians as used then and now in taking a short cut from Port Said to Damieitta., Whereas by road you have to go back almost to Cairo . This tide happened twice a day for thousands of years. Which means Moses didn’t arrive there when the Med Tide was out but must have known about it and can be possible confirmed as being thee before from the Anastasia V papyrus. There is no mention of a Red sea in the Torah, the first referance to this sea was in the Christian Bible. Besides you have to have reeds to make their new abodes at Succoth and you don’t get reeds around salt water of the Red Sea. So where does the Bible get Red Sea from . May I suggest Moses named it Yam Edom the Edomite sea . It got changed to red because Red in Hebrew is Adom and there’s other references, like Karan and Keren where the translators got confused with there E’s an A’s as in Hebrew they’re similar . The Edomites were the people that lived near Elat and Accaba, which Moses passed through and they were seafarers . Johnna, surprisingly enough there is quite a lot of evidence for the Exodus. You should look up Thutmoses III and that story and research his history. Not to mention the findings of the Golden Chariot wheels under the Red Sea and Settlement evidence in the desert. I hope this helps. There is not any evidence of Isreals Exodus except for one place if it can be found. This is a living prophecy of today. We are not meant to find proof as when we are taken out of the world there will be no proof of the event. the only place there may possibly be evidence is where the ground opened and swallowed the one who stole and buried the silver under his tent and the ground opened and took his whole family and livestock. Good luck finding it. No other remains are there as they most likely resurrected with Jesus along with the others who came out of their graves when Jesus resurrected. That is my opinion. blessings. Have you people read “The Bible Unearthed” by Israel Finkelstein ?